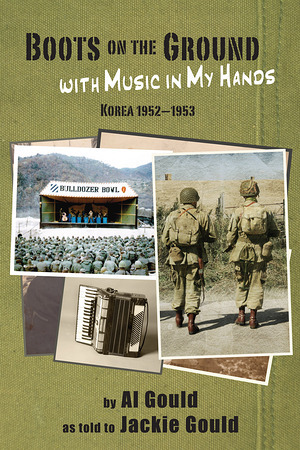 In this memoir, Alvin Gould recounts his experiences serving in the United States military during the Korean War. Gould spent nearly a year of his three year tour of duty as an accordionist in the 2nd Platoon of the 10th Special Services Company, an all-soldier entertainment unit made up of professional and celebrity musicians, comedians, magicians, and other entertainers. His unit broke all previous records, zigzagging over 7000 miles across South Korea and playing over 250 shows for military personnel and other UN troops. Gould completed his military service giving accordion lessons to a Colonel, working as a mail clerk in the 8th Army Headquarters in Seoul, and finally managing a service club as sergeant in charge at Fort Gordon, Georgia. In Boots on the Ground with Music in my Hands, Gould looks back at his service in the military fondly, sharing stories of family, friendship, and war.